Are you Looking for WBCS 2019, UPSC Civil Service Exam's Indian Medieval History Questions Questions Quizzes? If your answer is yes, then here is the right place for you. 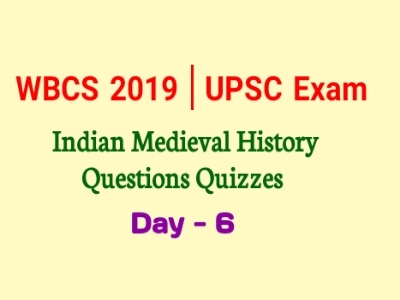 Indian Medieval History Questions Quizzes help you to take better Preparation for UPSC Exam, and Other Civil Service Exam like WBCS 2019. UPSC Indian Medieval History Questions Answers Quizzes Below here.